First time in Copenhagen? Ensure a warm welcome with this private 2-hour walking tour and discover the best bits of the Danish capital. Stroll down the lively shopping boulevard of Ströget, admire the colorful waterfront of Nyhavn and marvel at the opulent Christiansborg Palace. Stop along the way to see landmarks like City Hall on Rådhusplatsen, sample the local breakfast of chocolate on toast and discover fascinating facts about the city from your local guide. Sample local specialty ‘Pålægschokolade’ – chocolate toast! You can also request pickup from your hotel. Please indicate your preferred departure time in the Special Requirements field. Begin your private Copenhagen city walk on Rådhusplatsen, where your first point of interest is the grand City Hall. Follow your guide along Ströget, through Copenhagen’s bustling shopping district, and hear about local life as you watch city-dwellers going about their day. Stop to snap photos of the colorful houses along the Nyhavn waterfront and stroll along the city canals, then take a break to sample Danish breakfast treat, Pålægschokolade, a special chocolate designed to be eaten with toast. 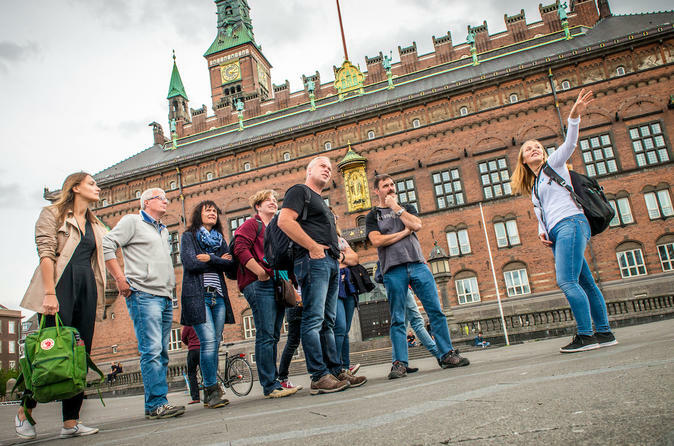 Loop back around to Palace Island and marvel at the magnificent Christiansborg Palace, as your guide fills you in on the palace’s fascinating history. End your short and sweet tour back where you started – this time with a newfound knowledge of the city and plenty of insider tips on what to see, do and eat during your stay.